The Puma Forward Tees polo is designed with sublimated, all-over graphic; a 5 button placket, and a cat logo at the left hem. 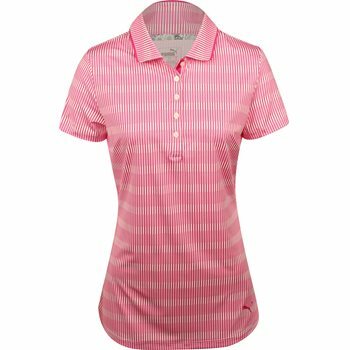 The polo features moisture wicking technology that keeps the skin cool and dry when sweating occurs. It is made with polyester fabric that offers durability for machine washing and resistance against shrinking and wrinkles. The fabric also offers stretch for a comfortable fit and freedom of movement.